ROMER Arm Customer Story - CMM Inc.
Corwhin Tool, located in Guelph, Ontario, manufactures CNC Way Covers of all makes and models for the manufacturing industry. Conveyor covers are used to protect machines from the metal shavings that could potentially fall into the bearing ways and create machine failures. Corwhin custom builds to specific applications according to each customer request. Corwhin Tool also provides repair work - this is where the ROMER Portable Arm solution from Canadian Measurement-Metrology is put into use. The ROMER Portable Arm is a portable coordinate measuring machine (CMM) that can be used in harsher environments than a traditional CMM. 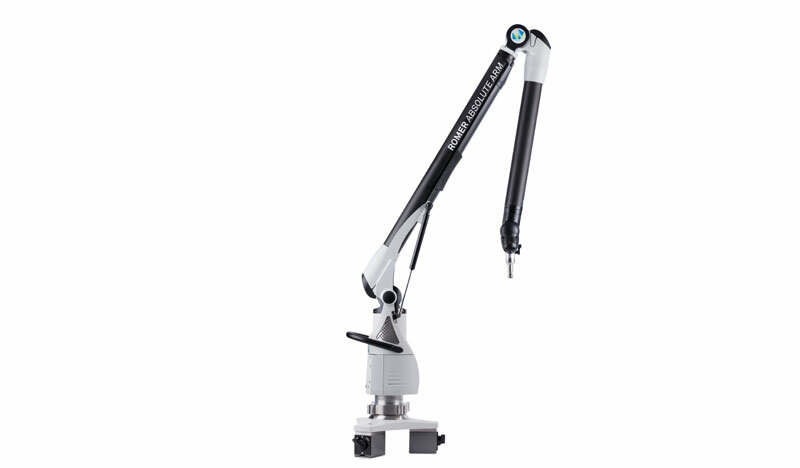 The versatility of the ROMER Arm allows the operator to use the portable CMM where he needs it. Be it on the shop floor, in the CNC machine, or at a customer’s facility. The ROMER Arm can be mounted on a standard mounting plate, magnetic base, or portable tripod. 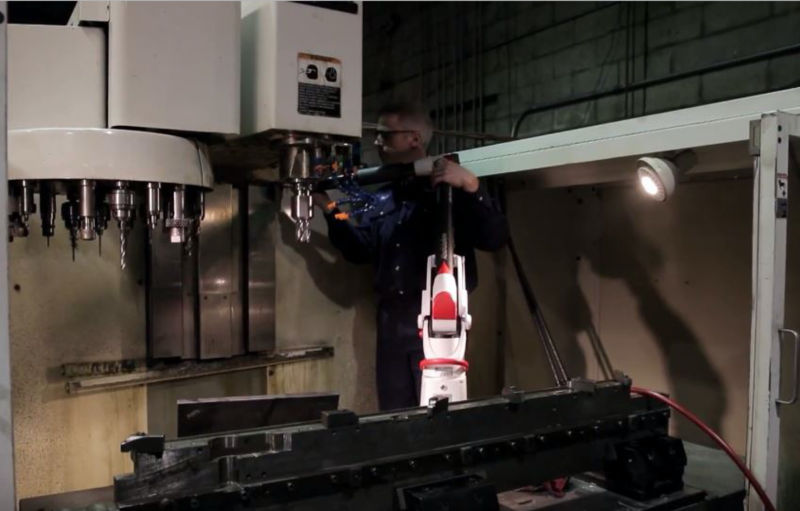 With the magnetic base, the ROMER can be used right inside the CNC machine, allowing the operator to measure the covers to determine exactly what corrections and adjustments are necessary for the requested repair. Corwhin Tool sees the real advantage of the ROMER Arm when they take it on-site to their customers' facilities. They are able to do the measurements directly on the customer’s machine, and with that data they are able to either start repairs or build a new cover back in the Corwhin shop. Mark Jones, Corwhin Tool's Engineering Manager was eager to share some advantages of using a ROMER Arm: "Prior to having this ROMER product, all the compound angles I measured on the job had to be done with conventional tools and gauges, and this would take so much longer to do. Going on-site with the ROMER Arm, when I shut the customer down in order to take measurements, I can get those done quickly and accurately without having to record the numbers." "Many of our customers come to Corwhin Tool because we do on-site measurements. We are hired specifically because of this service. I can measure what they need and make it right. Previously, taking measurements 'by hand' and recording these numbers, there was much more opportunity for human error. Now, with the ROMER Arm, I am able to go on-site, measure quickly and accurately, and provide each customer with a product that fits properly, virtually every time. Customers greatly appreciate that the time required to shut down their operations is minimal." The ROMER Portable Arm can also be used for reverse engineering, so new covers, not in Corwhin's current library, can be modeled and created by simply measuring the old cover. The data gathered on-site is then used to create a new Corwhin CNC machine cover. "The arm is a trigonometric measurement device; it does all the mathematics for me. Though I am an engineer, operators need not have mathematics or engineering backgrounds to learn to use the ROMER Arm. Canadian Measurement-Metrology trains our employees in its use. They also provide very responsive service and problem solving, whenever needed. Everything we need Canadian Measurement-Metrology provides for us. Our company would not be where we are right now without the ROMER Portable Arm."